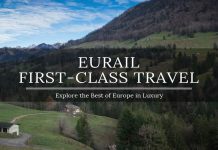 Europe attracts visitors from around the globe every year primarily because of the idyllic Christmas markets and perfect weather to hit the slopes and fine-tune your skiing skills. 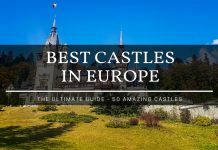 If you read our recent post on the best places where to spend Christmas in Europe, you will know there is a myriad of destinations waiting to be explored. However, what about if you are burned out with all the European hype. Perhaps you want somewhere a little different. We want to share a collaboration of the best places to spend Christmas that are NOT in Europe. Whether you are celebrating Christmas by the gigantic Christmas tree at the Rockefeller Center in New York City, or perhaps surfing the waves Aussie style on Bondi Beach, the ‘rest of the world’ has so much to offer without thinking that Europe is your only option. Europe has both of our hearts so undoubtedly we love to visit this part of the world, but we are delighted to have our horizons broadened by this wonderful collaboration from many of our friends from around the world who share their favorite Christmas experiences. Thanks to Natalie Vereen-Davis from Cosmos Mariners for recommending Charleston, South Carolina which may be the perfect spot for you this Christmas. Charleston, South Carolina, might not be on your radar for Christmas destinations–but it should! 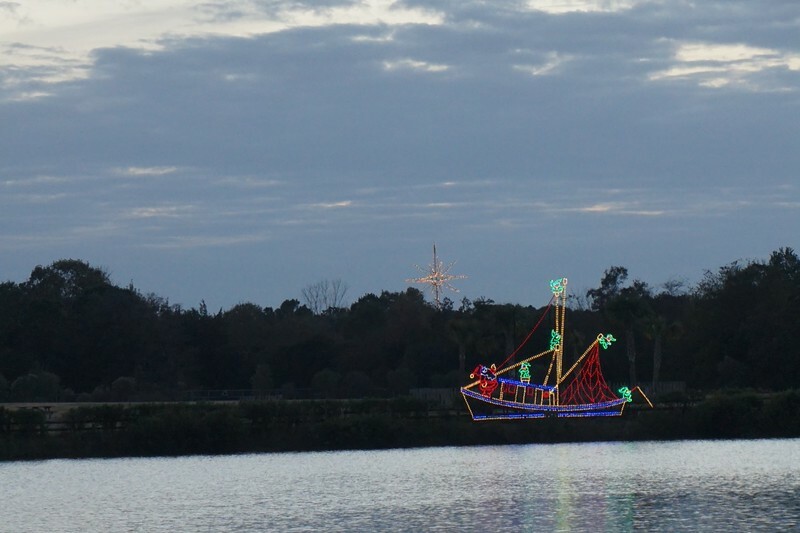 With mild December temperatures that rarely includes freezing weather and a plethora of fun, coastal-inspired activities, the Holy City knows how to ring in the holidays. Head over to the South Carolina Aquarium to see a scuba diving Santa hanging with the fish and sharks in the 385,000 gallon Great Ocean Tank. Then, take a drive among the palm trees over on James Island to see the annual James Island County Park Festival of Lights (a local favorite!). There are multiple Christmas-themed runs, including the Reindeer Run through historic downtown or the Jingle Bell Run in Mount Pleasant. If you’re still around for the New Year, join in the fun over on Sullivans Island on January 1st for the Polar Bear Plunge. We might not have snow and ice, but Charleston still brings plenty of Christmas spirit! There are certain places around the world that you would probably never think about visiting and Cuba definitely fits into that category, at least for many Americans. However, we urge you to change this opinion and thanks to Carmen Edelson from Carmen’s Luxury Travel, she may just convince you to pay Cuba a visit for Christmas! Cuba is a special place to visit especially during the Christmas holidays. Every year on January 6, my family in Cuba celebrates Three Kings Day (El Dia de los Tres Reyes). It’s also known as “Feast of the Epiphany”. Epiphany is when the Three Kings arrived in Bethlehem. For Cuban children, this is the most important day of the year when they wake up to find that Los Reyes Magos (the Three Kings) have left gifts for them in their house. January 5, the eve of Three Kings Day, is similar to our Christmas Eve celebrations, but it symbolizes the end of Christmas. Families gather together for dinner and wait till midnight to give and receive presents. It is to celebrate the arrival of the Three Wise Men. Just as the Three Wise Men gave gifts to baby Christ, the Spanish give presents to children. Before going to sleep, instead of putting some milk and cookies next to the Christmas tree, children leave grass and water under their bed to feed the camels. Children leave their shoes out the night before or a box, similar to how stockings are left out on Christmas Eve. In some countries, they stuff the shoes with straw or hay for the kings camels. In Cuba for instance, we put the shoes under the bed. 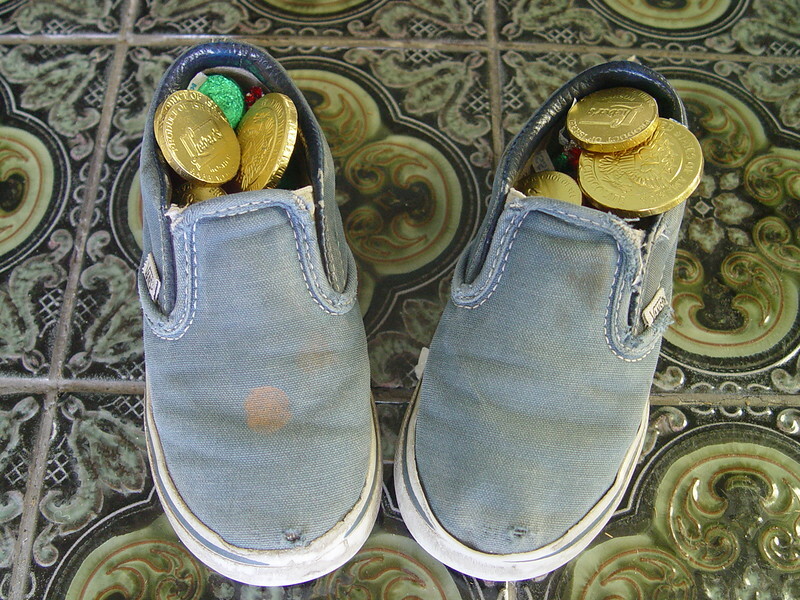 The shoes are filled with presents and candy. 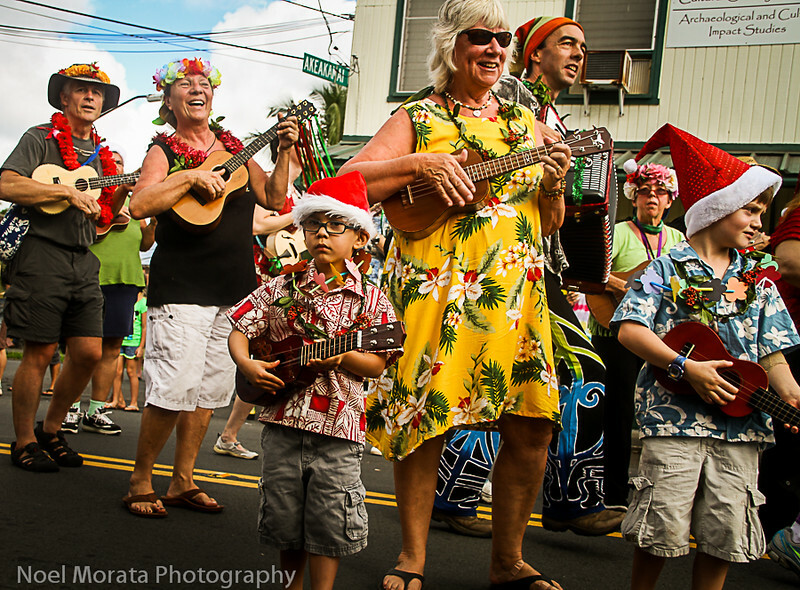 Noel Morata from Travel Photo Discovery thinks that Hawaii is the perfect spot for Christmas celebrations…and why not after you read about such awesome parades and experiences that you can have in the Land of Aloha! Christmas in Hawaii is filled with the typical Christmas parades, Christmas fairs and music festivals and a variety of small to large-scale events. The major difference is the tropical nature, the aloha that the locals share and the varied foods that come out during the holiday season. All the islands have their own special events that happen during the holidays so it’s not easy to always pick just one island to enjoy the holidays. The above image shows one of my favorite parades that happen in East Hawaii on the Big Island. Who doesn’t love a trip to New Orleans at any time of the year? We love the cajun and creole cuisine so when Katherine Belarmino from Travel the World shared her experiences on NOLA, we were raring to share this with you! Let’s take a look at why she thinks New Orleans should be on your bucket list of Christmas destinations. 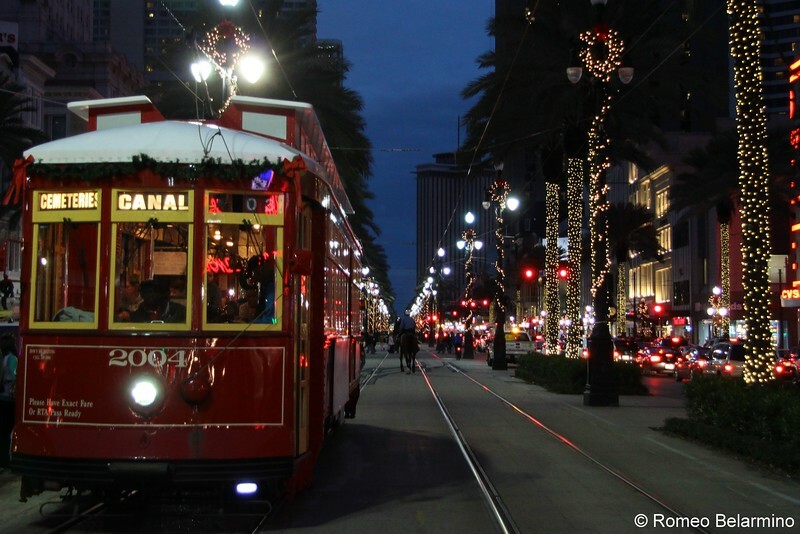 Last year we chose to celebrate the holidays in New Orleans, and it turned out to be one of the best places we have visited during the Christmas season. We think Christmas in New Orleans is best because Christmas lasts longer in NOLA. Christmas doesn’t end on December 25. Rather, in NOLA, Christmas lasts until January 6, which is the date of the epiphany, so the city stays decorated for almost two weeks after Christmas. This also means you can celebrate Christmas morning with family at home, then hop on a plane and enjoy a destination Christmas. Christmas in New Orleans even has its own dinner menu. Réveillon is an old Creole custom, a meal enjoyed after returning from midnight mass. Now New Orleans restaurants offer a special réveillon dinner menu for the holiday season. A list of potential Christmas destinations wouldn’t be the same without the ultimate 24-hour city of the world – New York City! Andrew Tolentino from Dish Our Town shares his thoughts on why NYC should be at the top of your list in 2015. As is the life in the City that is New York, that people find the need to escape to somewhere else during holidays. Which I, too, am inclined to do, save one, the Christmas Season. “There’s no place like home for the Holidays”, as the song goes. I happen to agree. 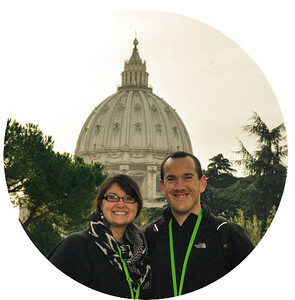 Why leave a place that millions spend their hard earned dollars to visit during this time? There must be something to it. How the city celebrates the Holidays is incomparable. Bookending the Season, are the world famous, Macy’s Thanksgiving Day Parade and The New Year’s Eve Ball Drop at Times Square. In between are a host of wonderful events, not the least of which is the Rockefeller Center Christmas Tree Lighting. Though there are traffic and crowds, they seem to somehow be overcome by the angelic rings of Church bells and choirs. Every tree, not just the big one, seems to be sparkling along with the smiles on people’s faces. Children can be children, and adults can be children as they skate around some of the most famous ice-rinks in the world. 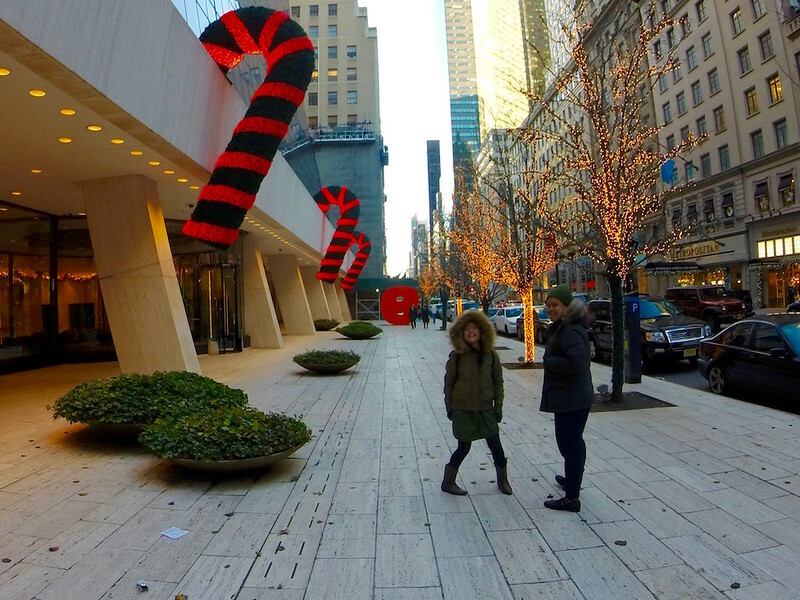 There’s shopping for the ladies, drinks for the gentlemen and of course, shows for the kids – did I mention that’s just 5th Avenue? Who is ready to enjoy Christmas on the beach? Lance Longwell from Travel Addicts shares his ideas of why spending Christmas in a tropical location is the best way to relax during the holiday season. 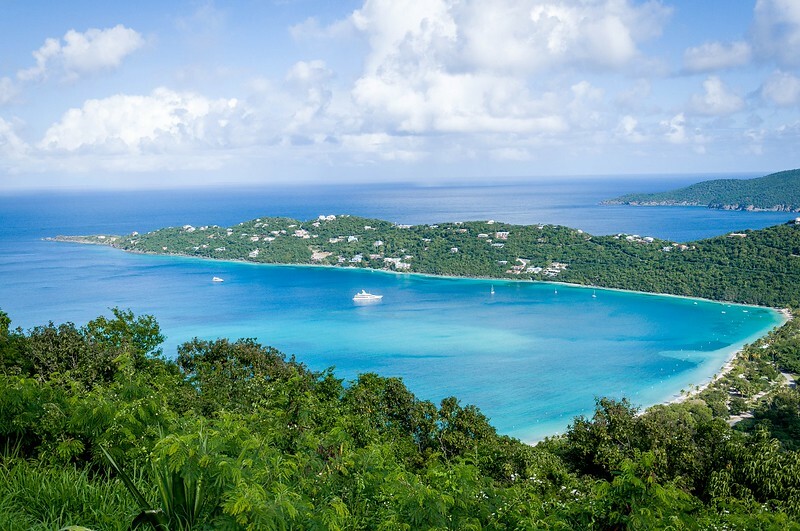 One of our favorite holiday destinations is St. Thomas in the U.S. Virgin Islands. We live in the Northeast where it’s cold and miserable. We’ve found ourselves here for several different holidays and have always loved it. And what’s not to love? The weather is warm, there’s lots of sunshine and there is something magical about the sand between your toes as you walk along the beach sipping a delicious adult beverage. There’s nothing better than escaping to the Virgin Islands for a little tropical therapy every Christmas! 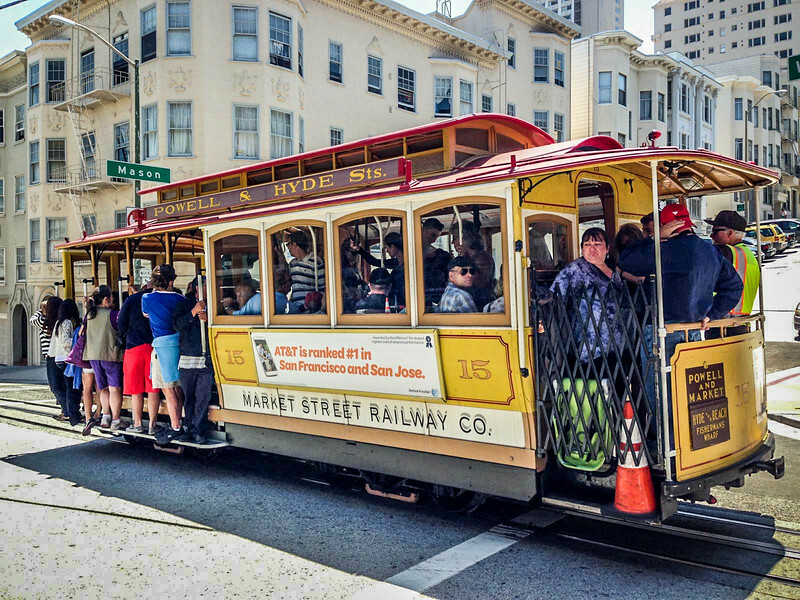 Having visited San Francisco before and fallen in love with this city, we are delighted to share Carole Terwiliger Meyers experiences on this beautiful city and why she thinks this is the perfect spot for a Christmas vacation. San Francisco is the best place to celebrate anything, including Christmas. The big department stores around Union Square put up some elaborate decorations, and the square itself hosts ice skating. One of the annual Christmas events here that I have enjoyed numerous times is the Great Dickens Christmas Festival, which takes place in the south of the city in a huge hall that is transformed magically into Victorian London. A highlight is attending and dancing at an ongoing party with Mr. and Mrs. Fezziwig. And there is always the chance you will run into the female Santa Claus. If you are looking for somewhere a little different, consider Santa Fe, New Mexico. Billie Frank from Santa Fe Travelers shares her experiences and perhaps the local folklore will convince you that a trip to New Mexico is worthwhile. If someone told you that you had to choose one night and one night only to spend in Santa Fe pick Christmas Eve. It is like no other night here. The highlight of the evening is the Canyon Road Farolito Walk. It’s magical! 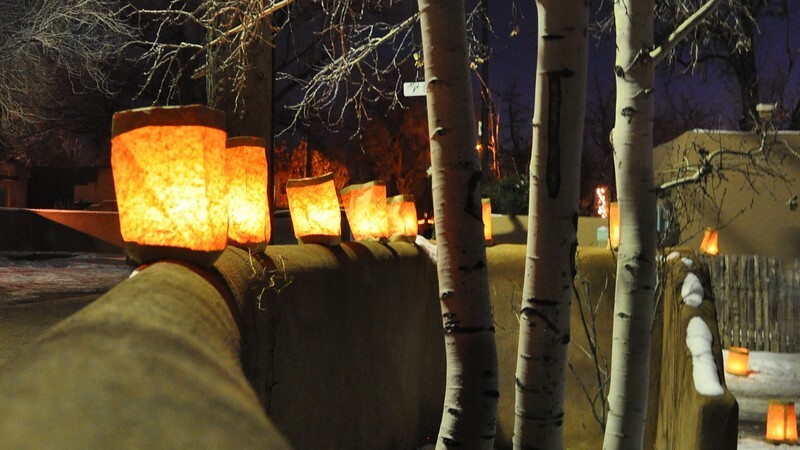 The historic street is lit by farolitos (paper bags filled with sand and a lit candle), “fauxlitos” (the plastic, electrified version that come in strings) and by luminarias (small bonfires made from piñon wood). Local lore says these light the way for the birth of Baby Jesus. The narrow byway, closed off to traffic, is packed with people, about 30,000 (Santa Fe’s population is about 80K) are likely to show up between 5pm when the road closes and around 10pm when it reopens. Some people don festive lights, while other wear bells that gently tinkle in the cold air. Every now and then you’ll encounter a spontaneous group singing Christmas carols; stop and join in. If it happens to snow, well, that takes this storybook setting over the top. Looking for a traditional Christmas setting? The small state of Vermont in North-East USA may well be the perfect spot for you especially in the picture perfect setting that frequently offers a White Christmas. 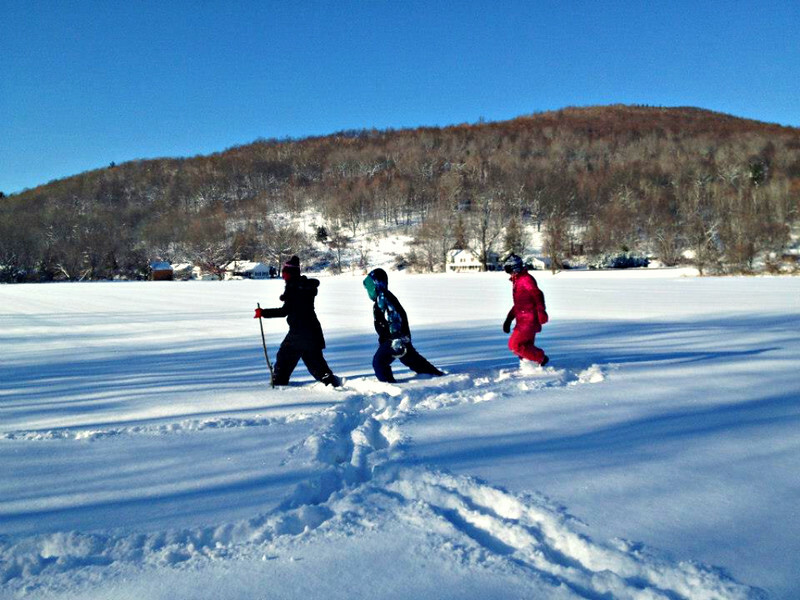 Amy from Two Drifters shares her thoughts on Vermont. One of the absolute best places to spend the Christmas season is a place which could not be more traditionally festive. The state of Vermont, where I lived for 10 years, is one of the most picturesque and cozy places to be. The ideal area to go is Stowe, Vermont. This is a ski town ringed by gorgeous mountains with a quaint downtown village. Stroll down the brick sideways sipping local hot chocolate and admiring the scenery and the twinkling lights strung above. Afterward, take a ride in a horse-drawn sleigh, go ice skating on a nearby pond, or head up to the Trapp Family Lodge, a hotel owned by the Von Trapp family immortalized in the Sound of Music. According to locals, the Von Trapps chose to settle in Vermont because it reminded them so much of the glorious snowy peaks of Austria. While you’re in Vermont don’t forget to enjoy some Cabot cheddar cheese, Lake Champlain chocolates, and of course, Ben & Jerry’s Ice Cream. VT is all about amazing food! 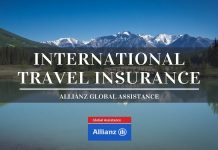 After visiting Australia in 2012 for Christmas and New Year, I can certainly understand the attraction of the ‘Land of Oz’ for travelers around the world. 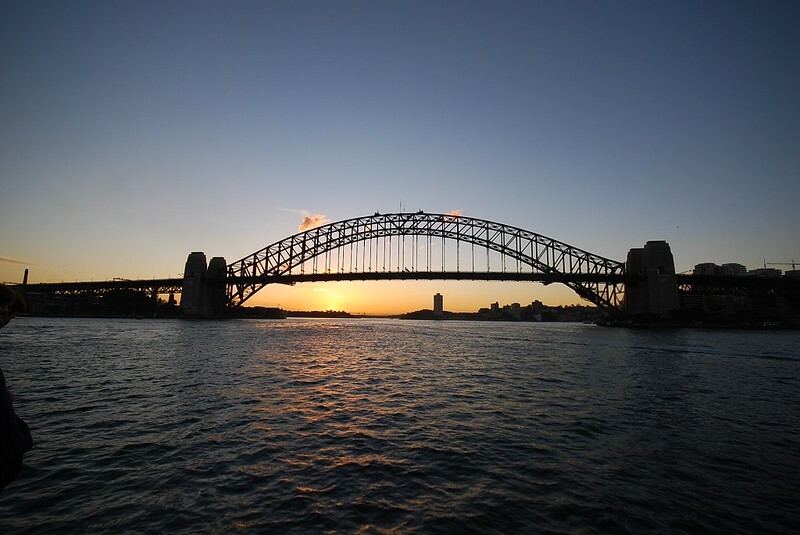 Roma Small from Roaming Required shares her experiences ‘Down Under’ and why Sydney in particular, is the perfect spot for a Christmas vacation. So, let me paint you a picture of a typical Aussie Christmas. It’s hot, there are endless blue skies and some tunes blaring out of a speaker in your backyard. The sun is beating down on you set up the blow-up pool for the kids. So you grab some of the extra brolleys you use for the beach, (because it rarely rains here!) and have the boys fire up the BBQ ready for the crowds to arrive. Your friends & family turn up each with two eskys. One’s filled with raw meat & marinating seafood, the other is full of ice and chilling drinks. Your aunty May arrives with her box of wine, to the snickers of the adolescents that make fun of her goon. The boys stand around in a huddle, beers in hand, and carefully consider the order of cooking. BBQ real estate is precious and the cooking process is (apparently) a complicated one. Nods of agreement and the garlic prawns go on, as they’re always quick to cook. 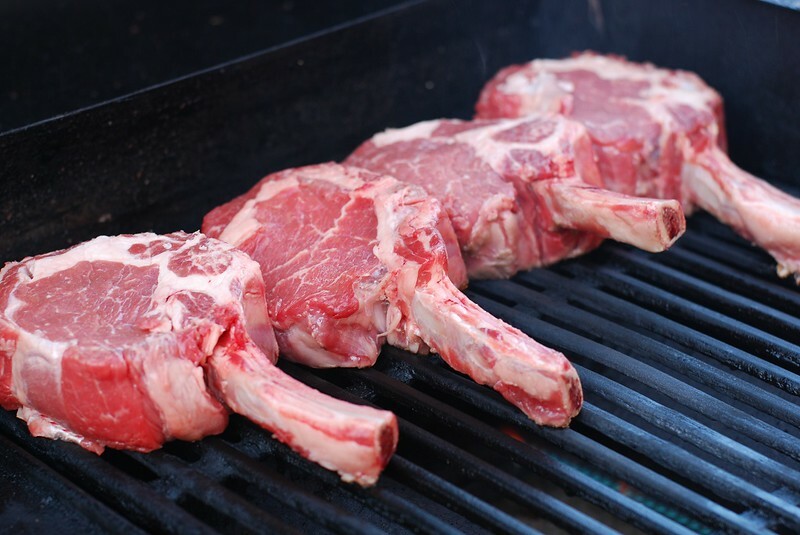 Chicken, snags & the steaks will find their place on the grill soon enough. As the day progresses, presents are unwrapped, dorky paper hats are donned by most (not those moody teenagers!) and laughter ensues. We don’t sit around a fire and sing Christmas carols, it’s a fluid affair. Up and down to the BBQ outside, keep an eye on the kids in the pool. Remembering not to leave Aunty May napping outside in the sun, she’ll burn in a few minutes! Christmas in Australia is mad fun and it’s completely different to most places in the world. As an expat, you soon realize that it’s about what you know to be normal, and to me, Christmas isn’t Christmas unless you have sweat running down your back. Looking for the ultimate, ‘best of the best’ in terms of luxury destinations to spend Christmas? How does Tahiti sound? Mar from Once in a Lifetime Journey shares her experience of visiting this gorgeous Polynesian island in 2014 (plus find out how she was able to spend Christmas in two different countries!). In 2014, I spent Christmas away from home for the first time and in no other place than Tahiti, in French Polynesia. Technically European territory, as it still belongs to France, Tahiti is a small island in the South Pacific that may come to mind as the dreamy escape of Paul Gauguin. Think frangipani flowers, grass skirts and rugged mountain tops surrounded by shallow motus. It was paradise, in the most obvious definition of the word. I was staying at the fabulous Intercontinental Tahiti and took advantage of their sprawling brunch and Polynesian entertainment show to eat as much poisson cru as my body could possibly handle, then burn the calories off by joining the dancers for a wavey and balmy performance. I spent the rest of the day road tripping the raw island, stopping by to say hi to the many locals who were enjoying the day at the beach or in one of the lakes and national parks. It was, no doubt, very different from the usual Christmas Day I would spend back home in Barcelona, yet the Christmas feel was still there, families still gathered together and food was still shared. Wow…what a diverse array of destinations around the world that each celebrates Christmas differently but offer an awesome experience for visitors! Whether you are looking to spend Christmas on the beach or perhaps learn a different culture, surely you are now convinced that you need to think outside the box and consider alternatives to your hometown this Christmas holiday. We would like to thank all of our contributors from around the world for sharing such breathtaking experiences. I know that we are inspired to keep traveling and look forward to spending Christmas in many of these gorgeous spots in the near future! 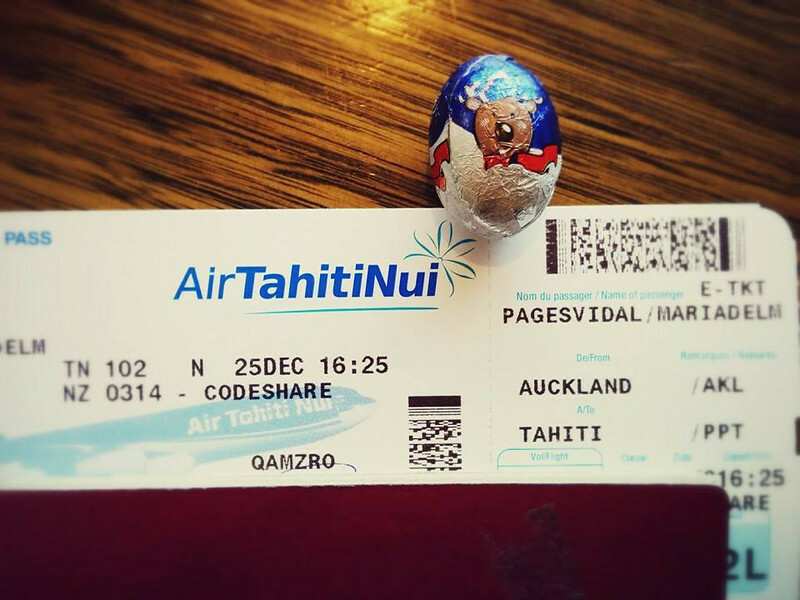 I could do me a xmas in Tahiti…or anytime in Tahiti…Merry xmas to you, see you on the flipside. New York city is the only place that would work for me from your list, Chris. All the others are too warm for Christmas, even San Francisco. Since 27 years ago when I moved to Los Angeles the only time I miss seeing snow is at Christmas. There is nothing more ferric for me than listening to Christmas carols and looking outside the window as huge snow flakes cover the frozen ground. Great post! Awesome post! Glad to see Sydney on here! I’m here on a WHV and am pretty excited to spend xmas down under! Cheers! Excellent list! I would love to spend a Christmas on the Southern hemisphere, I think it would be such a different experience than what I am used to!